A very warm welcome to S. Bartholomew. On this website we’ve all sorts of information about what’s happening in the church and parish. 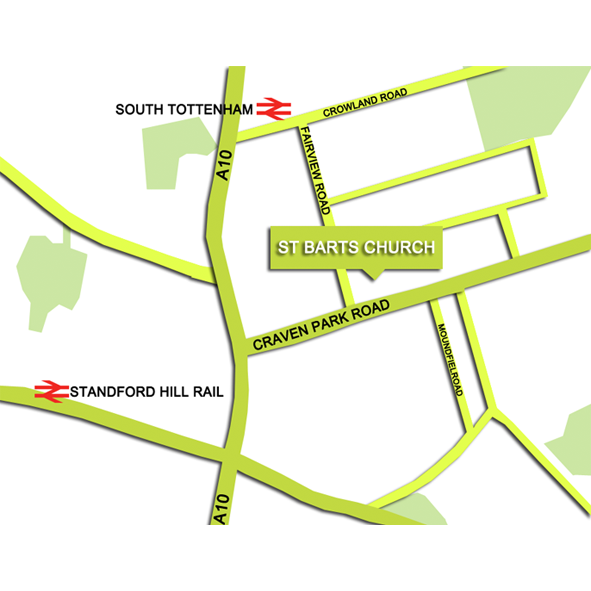 S. Bartholomew serves the locality of Stamford Hill, South Tottenham and part of Tottenham Hale. The main service each week is on Sunday morning at 11 am – The Parish Mass. There are other masses and activities on weekdays. S. Bartholomew’s Church is set in the heart of Stamford Hill, tucked away in Craven Park Road. There is plenty of public transport serving the area and Seven Sisters tube is 10 minutes walk away.